Posted on September 30, 2014 by simplecreations Posted in Card, Close to my Heart, How to Video, Simple Creations	. This is the Christmas Card Cut Above Kit from Close to my Heart. The Cut Above Kits are so great because Close to my Heart has already designed the card and cut out everything you need. The Christmas Card Kit makes a 5×7 card. So that gives you a great size for sending out this beautiful Christmas Card. It comes with a gorgeous card base and envelope. I have designed alot of Christmas Cards, but never with such beautiful Glitter Snowflake paper like this. Tags: Card, Christmas, Close to my Heart, Cut Above Card Kit, video	. Posted on September 17, 2014 by simplecreations Posted in Card, Close to my Heart, How to Video, Simple Creations	. new products called Cut Above. Tags: Birthday, Card, Close to my Heart, Cut Above Card Kit, video	. Posted on September 8, 2014 by simplecreations Posted in Close to my Heart, How to Video, Simple Creations	. NEW Idea Book just released August 1st, 2014. It’s the My Crush Book. We have had this product before but this theme is new. 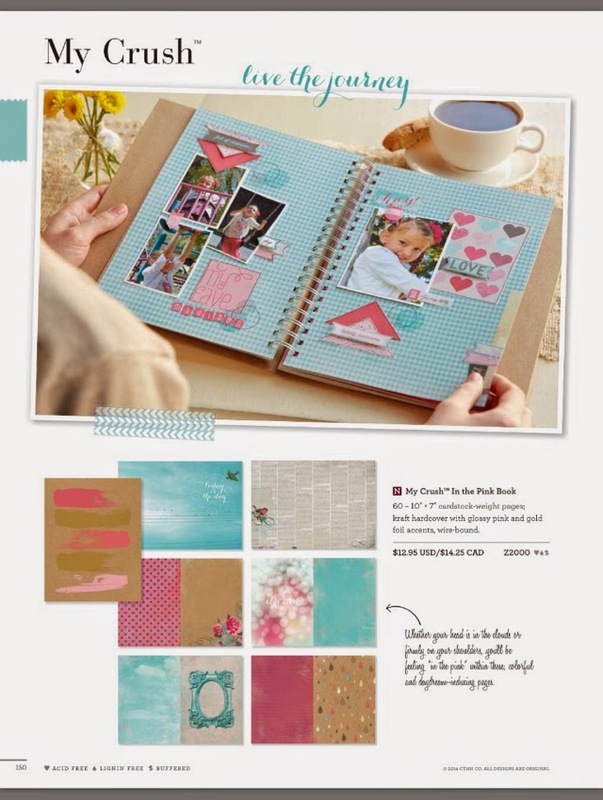 The Pink Book and The Pink Assortment has some amazing prints and colors to work with. Tags: Close to my Heart, My Crush, video	.